For jet-set clientele used to five star hotel this is the villa alternative. An exceptional property featuring the highest level furnishings and settings. 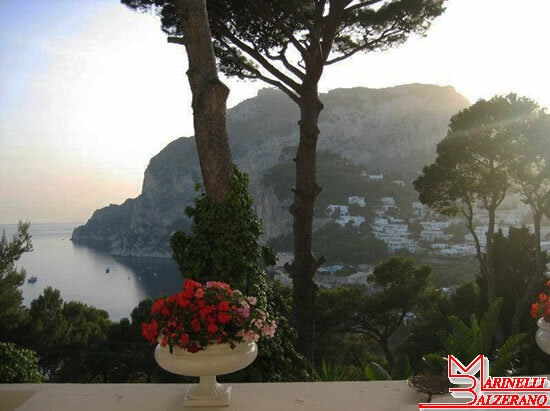 This sumptuous 4-bedroom Villa is located about 10-minute walking from the famous Piazzetta in a very peaceful part of the island with the spectacular views over the Marina Piccola bay, the Island of Ischia and the typical town. 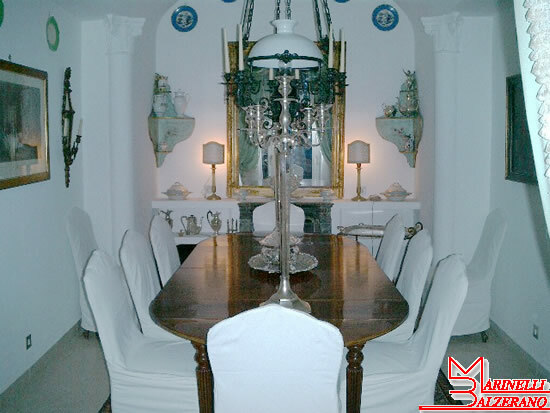 This Villa is unique and opulent with its luxurious patios, distinguished rooms with period furniture and objects d’art, exquisite décor. 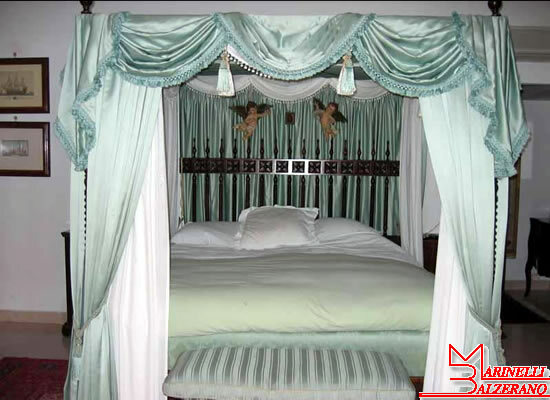 Elegant suites, decorated with marble floors, luxurious damask fabrics, draped canopy beds and beautiful antique furniture. 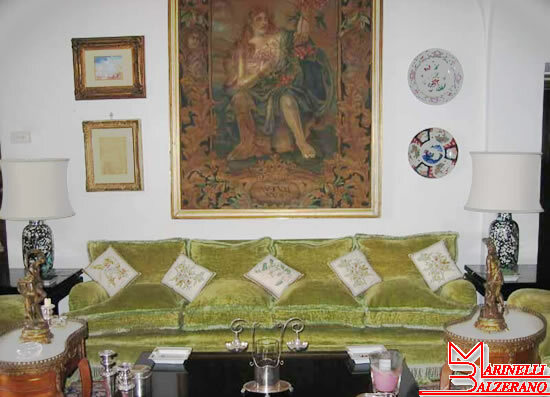 Soft green velvet chairs and sofa, Oriental carpets, ornate statues, crystal/silver chandeliers and beautiful paintings. Everything is elaborate and ornate, a setting of rare elegance. 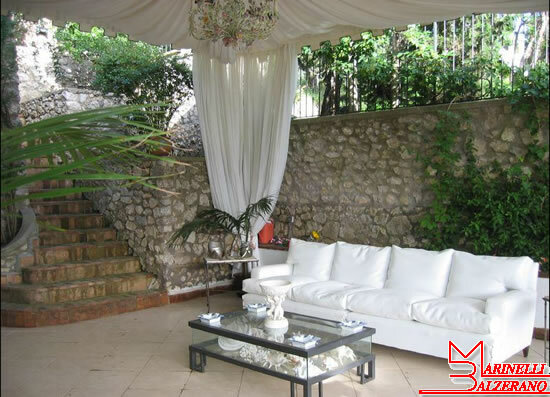 Built on different levels, the Villa features several outdoor terraced and beautifully maintained gardens from which to enjoy the postcard views and the peaceful Caprese atmosphere. 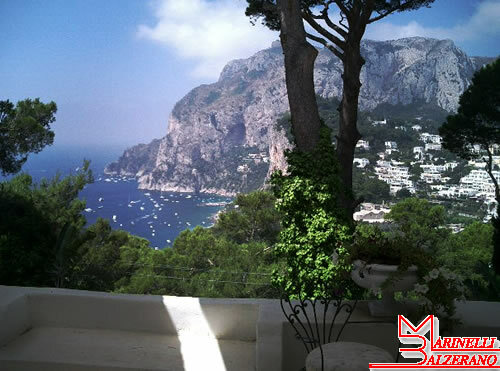 The Villa is perched on the cliffs overlooking the spectacular coastline of green hills that drop straight to the sea. It is located just a short walk from the famous Piazzetta but in atmosphere it seems miles away from the bustle and noise. 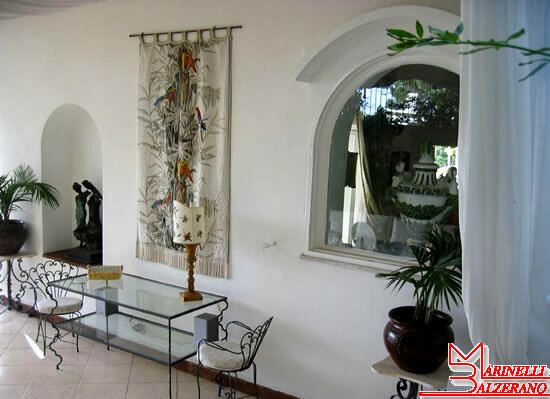 The main Villa is built on a three-level: the ground level consists of large living room, dining room, kitchen, bathroom. The first level consists of three double en-suite bedrooms while the third level features the third en-suite bedroom. 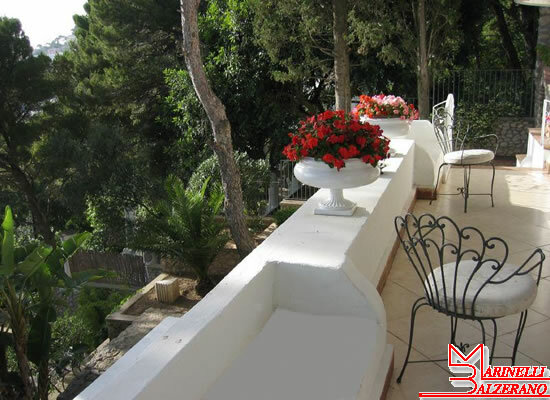 The Villa is reached walking from the Piazzetta by climbing the staircase that can be found right in front of the Hotel Scalinatella located in Via Tragara. Every detail ensure a wonderful and charming stay and the idyllic surroundings ensure privacy and absolute calm. 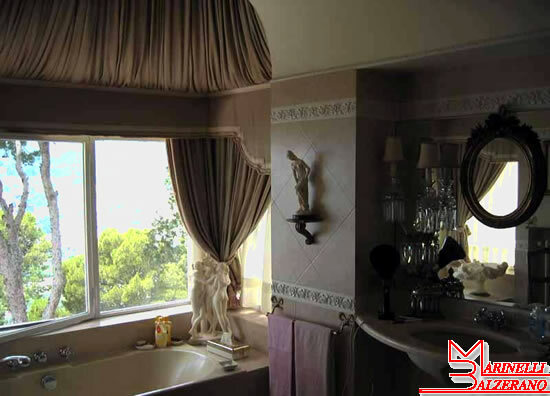 Property features: Spectacular Views, A/C, Sat TV, Daily Maid Service, Private 12 meters boat for rent. 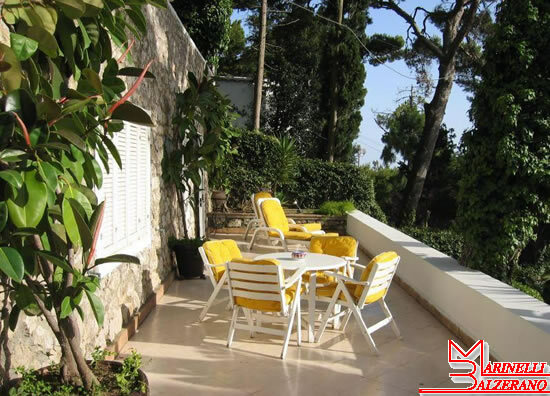 The property can be rented either on a self-catering basis or with full staff including cook and waitress. 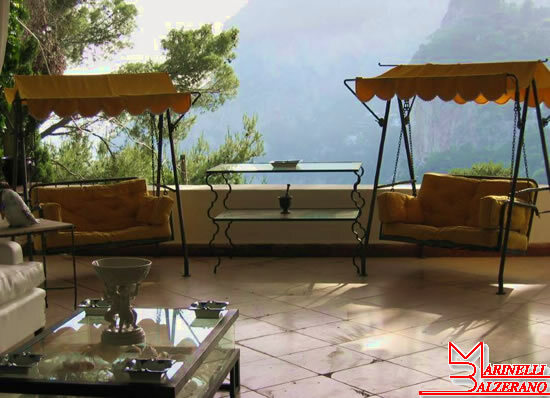 A nearby luxury Villa, sleeping up 12 people, can be rented together with this one, on demand.